Quaint and charming one level home on a wonderful tree lined cul de sac. Beautiful hardwood floors and wainscot walls will greet you. Spacious living room with bay window, custom cabinetry and fireplace. Sunny granite kitchen with white cabinetry, granite counters and breakfast bar. Cozy family room with French doors to backyard and fireplace. Beautifully remodeled hall bathroom with subway tile. Spacious master bedroom with adjacent bathroom. 4th bedroom is currently an office with built in desk and cabinetry. Large yard with cover deck for entertaining. Walk to schools, parks and shopping. 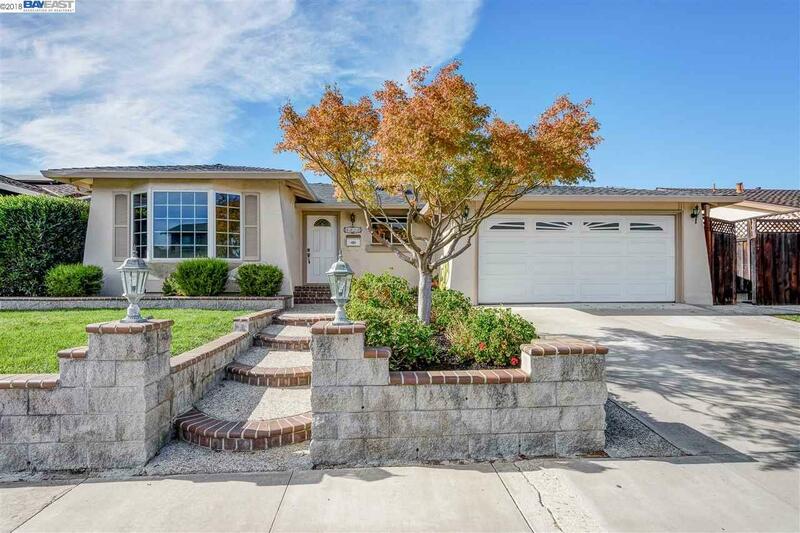 Minutes to historic downtown Pleasanton, all highways, BART and Livermore wine country.